It's that time again where members of What's Cookin, Chicago share their thoughts on some culinary concoctions. 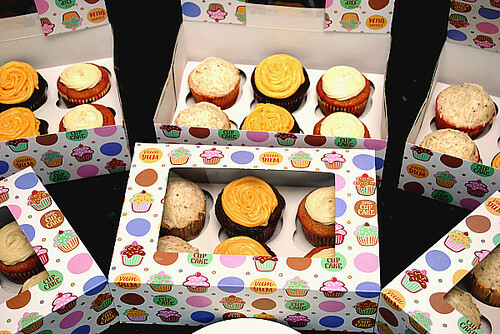 This month, our 'Tattle Tasters' chime in on cupcakes I've made. I prepared a random variety of cupcakes (a total of half a dozen) for each of the Tattle Tasters to try. All this week I'll be sharing the recipes and Tattle Taster comments for these cupcakes... so check back soon!